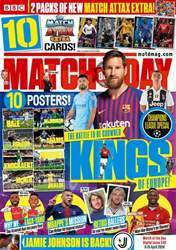 (0 Customer Reviews) | Write Review 51 issues per year Match of the Day is Britain’s best-selling football magazine. We bring our youth audience closer to their heroes with an action-packed version of the iconic TV programme. Facts, stats and gossip provide our audience with the knowledge they need for playground banter, while glossy posters, quizzes and cartoons allow them to celebrate the game they’re obsessed with. Parents and teachers say it’s sometimes the only thing boys will read. A huge compliment. Looking for Match of the Day in print? 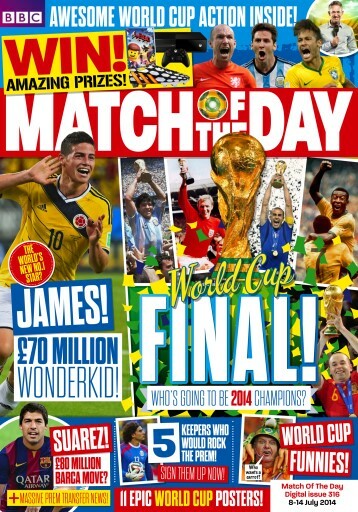 Unfortunately pocketmags.com does not sell print copies of Match of the Day, but all is not lost. Our partner at magazine.co.uk sells print subscriptions at the best prices online. Match of the Day is Britain’s best-selling football magazine. 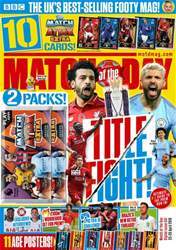 You'll receive 51 issues during a 1 year Match of the Day magazine subscription. You'll receive 51 issues during a 1 year Match of the Day magazine print subscription.